Viknesh Vijayenthiran February 22, 2019 Comment Now! Volkswagen is working on an electric successor to its iconic Microbus based on 2017's ID Buzz concept car. It's confirmed for a launch here in 2022. 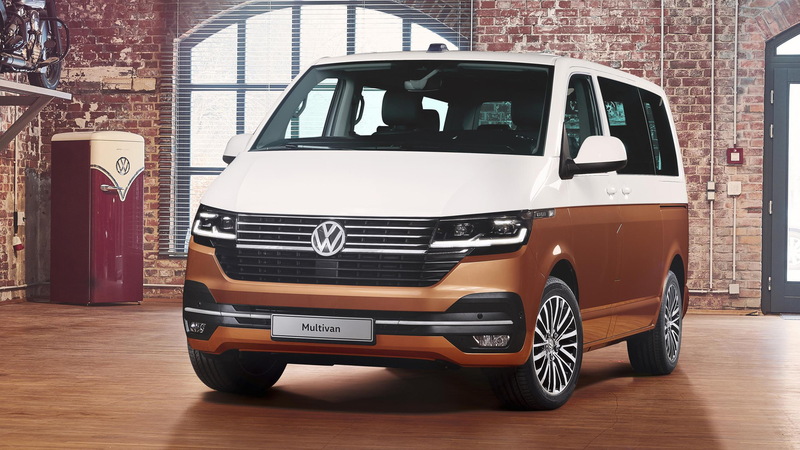 However, concurrent with the development of the new electric van is continued development of VW's Transporter series of vans sold overseas, the latest version of which was unveiled Thursday. 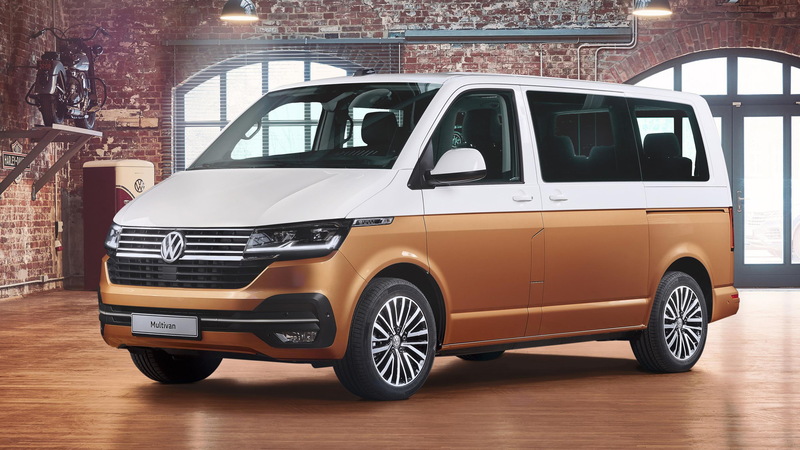 The latest Transporter, the T6.1, is an update of the T6 generation that debuted in 2016. VW has made a few tweaks to the exterior though these are minor compared to the tech enhancements the automaker made. Among the updates, either standard or available, are an electronic power steering system, the latest in electronic driver aids including a handle Trailer Assist feature, a digital instrument cluster and a new infotainment system with natural speak voice activation. Apple CarPlay is also featured and operates wirelessly too. The other big news is in the powertrain department. Most models are fitted with a 2.0-liter turbocharged inline-4 diesel, with outputs ranging from about 90 to 200 horsepower. However, a new electric powertrain has also been announced. 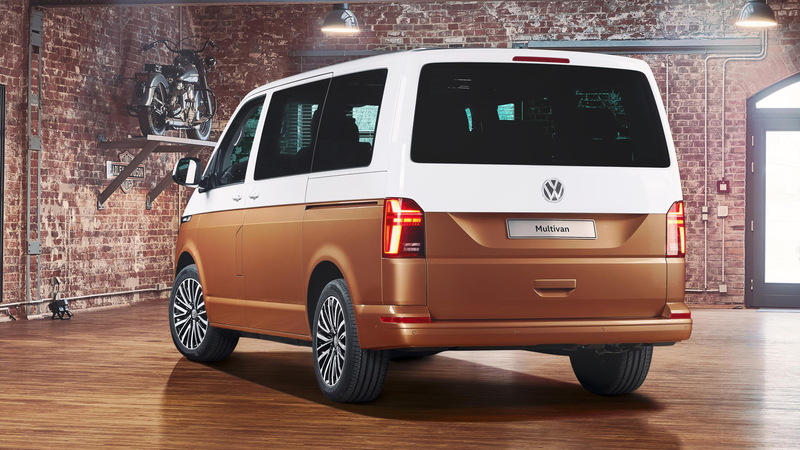 Developed in partnership with German tuner Abt Sportsline, the electric powertrain has a rating of 112 horsepower and battery capacities of either 38.8 or 77.6 kilowatt-hours. The latter is said to be capable of delivering a range approaching 250 miles on a single charge. Depending on the model, front-wheel drive and a 6-speed manual are standard while all-wheel drive and a dual-clutch transmission are available. 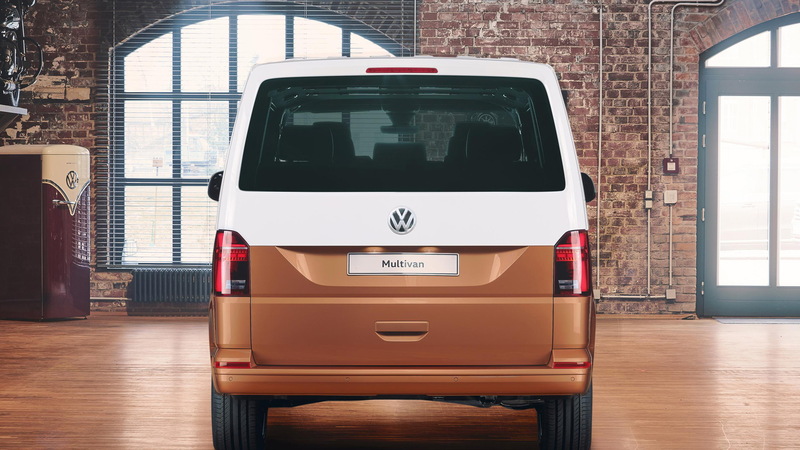 The Transporter series is actually the direct successor of the Microbus, with the original T1 generation first sold here as the Bus. 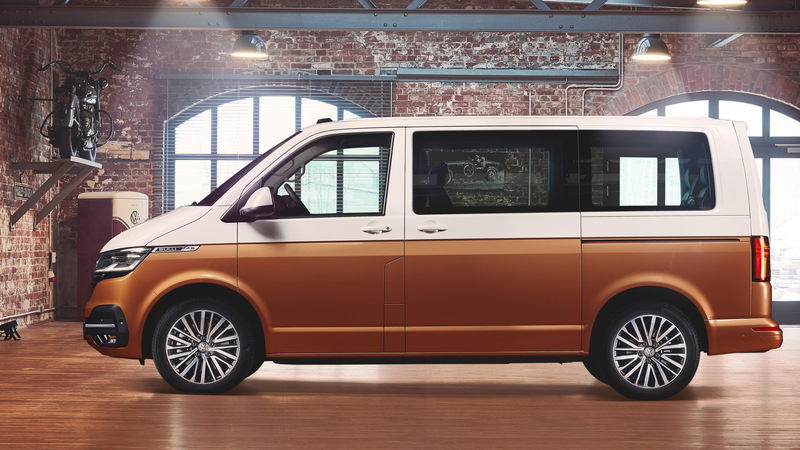 Sadly, VW has no plans to sell its latest Transporter locally. We tested the T6 generation in California trim last year and may see this updated T6.1 version used by Apple for a self-driving shuttle service in the not too distant future. In other markets, it will go on sale in the fall.